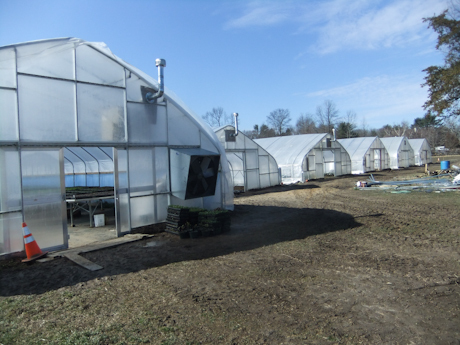 Most of January was spent repairing the greenhouses that were damaged from hurricane Sandy last Fall, and we even managed to build 3 more which now totals 6 large and 2 small green/hoop houses. Everyone worked very hard pounding the posts through the frozen ground, including my poor son who couldn’t use his hands for a whole week afterwards. 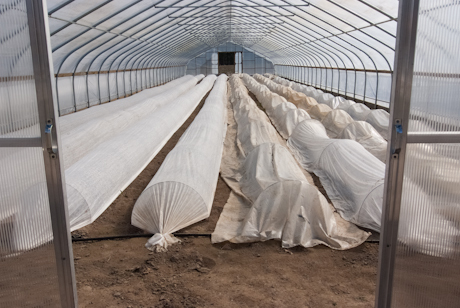 Without the full heat, even the cold hardy plants had to be under extra covers in order to be protected from freezing. See how they survived under those shrouds and are now thriving? 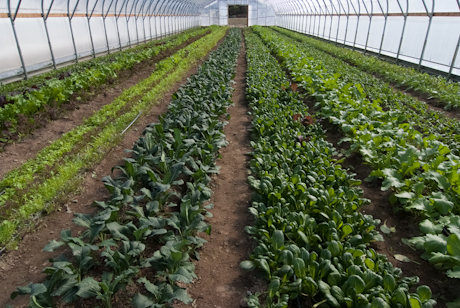 All kinds of greens are as happy as they can be. 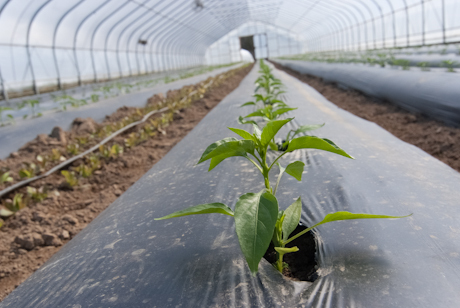 “When do you get your little peppers?” is the question most asked by our customers everyday. Well, here they are! In the greenhouse, still suffering a bit from the the cold night temperatures but hanging in there. We can’t wait till they flower and start to bear little tiny peppers that grow into everyone’s favorite, Shishito. 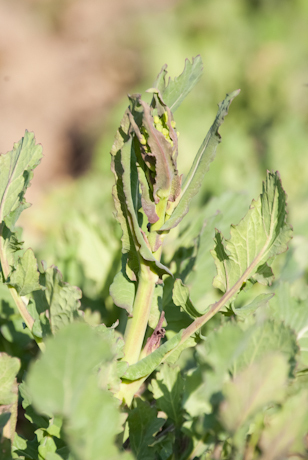 Oh, last but not least, over-wintered broccoli raabs that surpass the sweetness of candy are just starting to shoot out their floret stems. 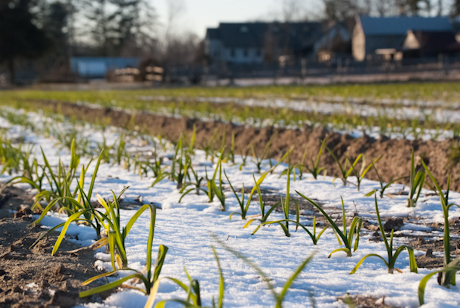 Hopefully, a few more days of nice weather will bring them one step closer to harvest. Yummmm, sauteed broccoli raab, anyone?